Watch for cars cutting diagonally across lots and don’t follow their example! Drive slowly and use a turn signal to signal turns. Be extra careful when backing out of spots. Be aware of cars waiting to get your spot, others who are backing out at the same time and reckless drivers who speed through lanes. Beware when mailing gifts or greeting cards during the holiday season. Post Office parking lots have a very high number of accidents due to high customer turnover. Even the best car insurance coverage won’t provide coverage if policyholders do something illegal. Don’t park between spots, especially in busy lots. The makeshift spot may get you closer to the shopping, but possibly at the expense of retribution from fellow shoppers in the form of dented doors. Cutting across lots and ignoring signs is also illegal and a resulting accident may not be covered by full coverage auto insurance. 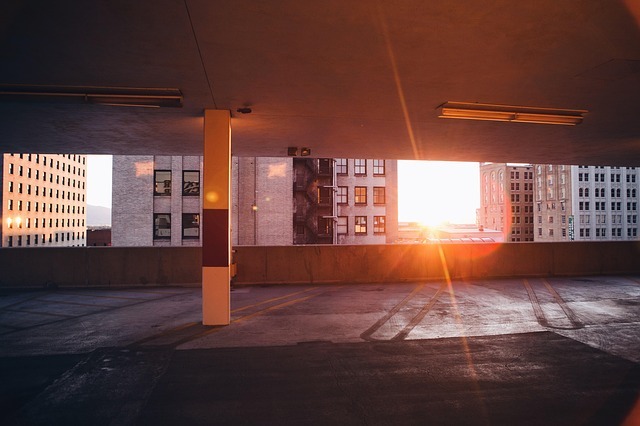 During the day, park away from buildings to help avoid dings and dents from car doors, runaway shopping carts, or vandals. At night, avoid secluded areas to help avoid potential break-ins. Park in well-lit areas and complain to management if there are no adequately lit areas available. Management could be liable for personal injury if something untoward were to happen. Ask mall security to walk you to your car if you don’t feel safe. They’ll do it. Always make sure car windows are shut and doors are locked. Security devices like car alarms help keep cars safe and may result in full coverage auto insurance policy discounts. Have keys ready when approaching a car and check the backseat and under the car before getting in to stay safe. Keep all shopping bags out of the view of thieves.